In the wake of an accident or an illness, trying to find people who can help you or your family member try to resume a normal life can be difficult. If you have been looking for people to help with transportation, cleaning, meal-preparation, and hygiene practices can be very hard. Many agencies or providers offer only one or two of the services you need to get things back to the way they were or, at the very least, get them as close as possible to the way things used to be. 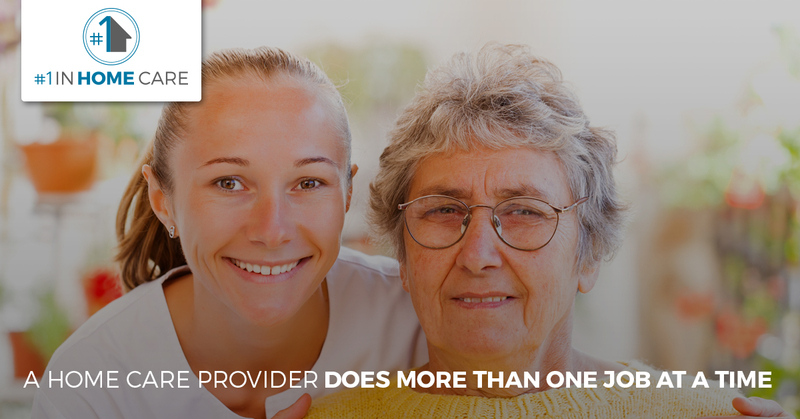 At #1 in Home Care, Jefferson Parish’s premier in-home care agency, we are able to take care of all of your non-medical home care needs at once. We choose well-rounded employees who are capable of helping in as many ways as possible because we don’t believe that you should have to pay several people to do the work that one caring, dedicated home care aide can take care of. Read on to find out about some of the services that we offer and how this is not only helpful in terms of your pocketbook but in deeper, more meaningful ways. 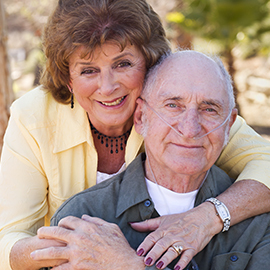 Call #1 in Home Care today to find out how we can help your family in your time of need. One of the most important ways that we can provide relief for an overworked family who is trying to take care of their loved one is through meal preparation and housekeeping. While these might seem like simple tasks to some people, we all know just how time-consuming and energy-sapping these responsibilities are. Working a full-time job and juggling all of your other commitments often leave very little time in which to get all of the housework done or cook nutritious meals. These hardships are only amplified when someone in the home requires an extra level of care. 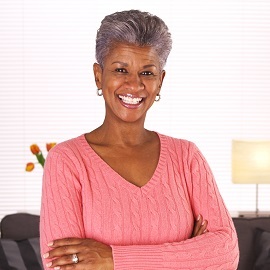 At #1 in Home Care, we can take care of these duties for you. Not only does this help remove some of the weight from your shoulders, it also lets you spend your time in more productive ways. Maybe you’re responsible for helping your loved one with their therapy or maybe you just want to spend more time talking with them, but other undertakings have gotten in the way. With our help, you can focus on what is really important in helping your loved one recover or adjust to the way things are now. Having to take your family member to their appointments can feel like a full time job, especially when there might be others who rely on you. When you hire #1 in Home Care, we take care of transportation for you. We will coordinate schedules and make sure that your loved one gets where they need to be safely and on time. Our home care aides are safe drivers who will pick up the client, take them to their appointments, and bring them home. They can also help them run their normal errands to help foster a client’s sense of independence. Following a surgery, an accident, or some other problem that left your loved one a little less capable than they were beforehand, many people find that they are either less able or less inclined to take care of their hygiene. Whether this occurs because of a physical problem or due to the depression that can often follow a trauma or severe change of capabilities, faltering hygiene doesn’t just dig someone into a deeper hole, it can also have physical consequences that can create new problems or exacerbate others. #1 in Home Care is here to help you or your family member with their hygiene. We can help them bathe as well as making sure that they feel better within their environment by cleaning and maintaining the home. 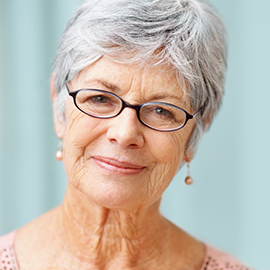 Contact #1 in Home Care today if you need help with any of these efforts. Our highly-trained, caring home care aides will help with any non-medical in-home care tasks that need to be accomplished. 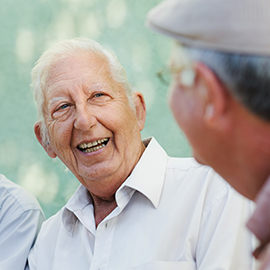 We pride ourselves on offering the best care available in the Jefferson Parish area. If you have questions about our services or you want to find out how we can be of service to you and your family, call us now.